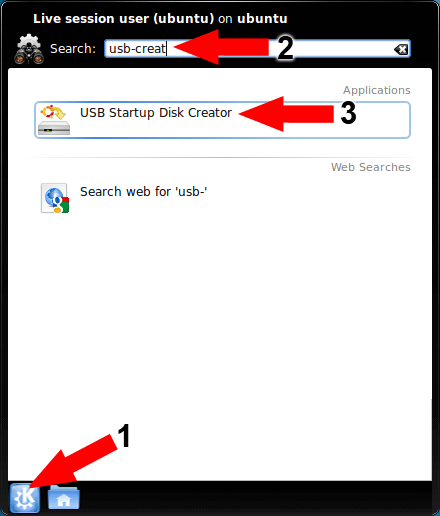 The following tutorial explains the process of installing Kubuntu 9.04 to a USB Flash Drive using the Ubuntu team's USB Creator. 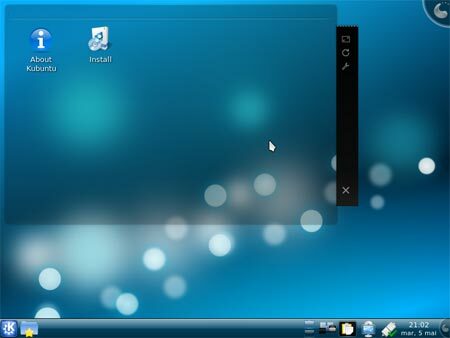 Kubuntu is a derivative of Ubuntu that, instead of Gnome, utilizes a KDE desktop environment. 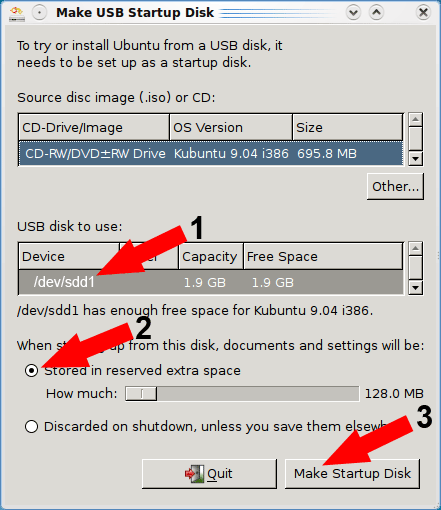 This Kubuntu Flash Drive installation method does make use of the persistence feature, enabling you to save your desktop changes, settings and bookmarks and then restore those changes on each boot. If all goes well, you should now be booting from Kubuntu 9.04 from your USB Flash Drive, and Kubuntu should automatically save the changes you make and restore them on subsequent boots.